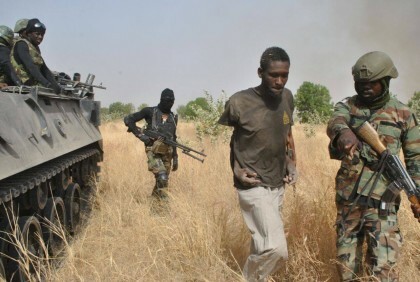 Troops of 155 Task Force Battalion, 21 Brigade have conducted a clearance operation aimed at clearing remnants of Boko Haram terrorists hiding in at Dipcheri, Jere and Chogolo towns. The gallant troops cleared all the three camps successfully without any casualty on own troops. During the operations the troops came in contact with elements of the terrorists group and arrested 2 suspected Boko Haram terrorists. The troops also recovered abandoned vehicles, motorcycles and a bicycle as well as locally made single and double barrel guns belonging to the terrorists. Clearance operations by various units and formations in Operation Lafiya Dole are ongoing. The intent is to ensure all remaining elements of the terrorists on Nigerian soil are eliminated. The public should please continue to provide information on all suspicious individuals to the security agencies.